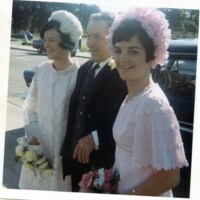 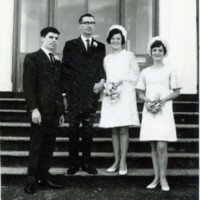 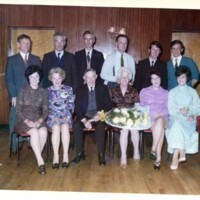 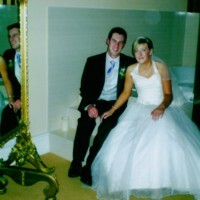 A photo of Ita McClelland's niece on her wedding day with her groom. 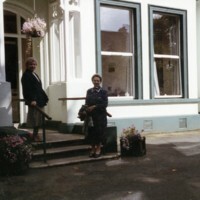 A photo of Maisie McNailly with a friend on the steps of a large building. 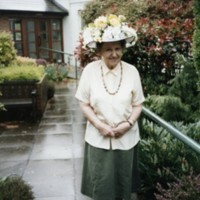 A photo of Maisie McNailly in the garden wearing a flower-covered hat. 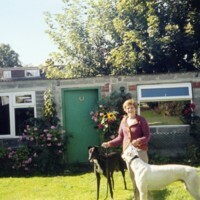 A photo of Maura Corr in her garden with two greyhounds. 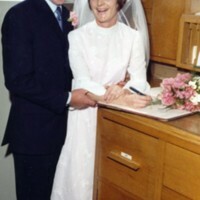 A photo of Maura Corr with her husband signing the registry on her wedding day.